If you use the DeliverySB Website, you are responsible for maintaining the confidentiality of your account and password and for restricting access to your computer, and you agree to accept responsibility for all activities that occur under your account or password, including product orders made therefrom. The DeliverySB Website sells products to adults, who can purchase with a credit card. If you are under 18, you may use the DeliverySB Website only with involvement of a parent or guardian. DeliverySB and its affiliates reserve the right to refuse service, terminate accounts, remove or edit content, or cancel orders in their sole discretion. B. In order to access some features of the Website, you will have to create an account. You may never use another's account without permission. When creating your account, you must provide accurate and complete information. You are solely responsible for the activity that occurs on your account, and you must keep your account password secure. You must notify DeliverySB immediately of any breach of security or unauthorized use of your account. Although DeliverySB will not be liable for your losses caused by any unauthorized use of your account, you may be liable for the losses of DeliverySB or others due to such unauthorized use. C. You agree not to use or launch any automated system, including without limitation, "robots," "spiders," "offline readers," etc., that accesses the Website in a manner that sends more request messages to the DeliverySB servers in a given period of time than a human can reasonably produce in the same period by using a conventional on-line web browser. Notwithstanding the foregoing, DeliverySB grants the operators of public search engines permission to use spiders to copy materials from the site for the sole purpose of creating publicly available searchable indices of the materials, but not caches or archives of such materials. DeliverySB reserves the right to revoke these exceptions either generally or in specific cases. You agree not to collect or harvest any personally identifiable information, including account names, from the Website, nor to use the communication systems provided by the Website for any commercial solicitation purposes. The content on the DeliverySB Website, including without limitation, the text, software, scripts, graphics, photos, sounds, music, html code, videos, interactive features and the like ("Content") and the trademarks, service marks and logos contained therein ("Marks"), are owned by or licensed to DeliverySB, subject to copyright and other intellectual property rights under United States and foreign laws and international conventions. Content on the Website is provided to you AS IS for your information and personal use only and may not be used, copied, reproduced, distributed, transmitted, broadcast, displayed, sold, licensed, or otherwise exploited for any other purposes whatsoever without the prior written consent of the respective owners. These marks are used to distinguish DeliverySB quality products and services. These marks and related proprietary property are protected from reproduction and simulation. DeliverySB reserves all rights not expressly granted in and to the Website and the Content. You agree to not engage in the use, copying, or distribution of any of the Content other than expressly permitted herein. If you download or print a copy of the Content for personal use, you must retain all copyright and other proprietary notices contained therein. You agree not to circumvent, disable or otherwise interfere with security related features of the Website or features that prevent or restrict use or copying of any Content or enforce limitations on use of the Website or the Content therein. YOU AGREE THAT YOUR USE OF THE DELIVERYSB’S WEBSITE SHALL BE AT YOUR SOLE RISK. TO THE FULLEST EXTENT PERMITTED BY LAW, DELIVERYSB, ITS OFFICERS, DIRECTORS, EMPLOYEES, AND AGENTS DISCLAIM ALL WARRANTIES, EXPRESS OR IMPLIED, IN CONNECTION WITH THE WEBSITE AND YOUR USE THEREOF. DELIVERYSB MAKES NO WARRANTIES OR REPRESENTATIONS ABOUT THE ACCURACY OR COMPLETENESS OF THIS SITE'S CONTENT OR THE CONTENT OF ANY SITES LINKED TO THIS SITE AND ASSUMES NO LIABILITY OR RESPONSIBILITY FOR ANY (I) ERRORS, MISTAKES, OR INACCURACIES OF CONTENT, (II) PERSONAL INJURY OR PROPERTY DAMAGE, OF ANY NATURE WHATSOEVER, RESULTING FROM YOUR ACCESS TO AND USE OF OUR WEBSITE, (III) ANY UNAUTHORIZED ACCESS TO OR USE OF OUR SECURE SERVERS AND/OR ANY AND ALL PERSONAL INFORMATION AND/OR FINANCIAL INFORMATION STORED THEREIN, (IV) ANY INTERRUPTION OR CESSATION OF TRANSMISSION TO OR FROM OUR WEBSITE, AND/OR (V) ANY BUGS, VIRUSES, TROJAN HORSES, OR THE LIKE WHICH MAY BE TRANSMITTED TO OR THROUGH OUR WEBSITE BY ANY THIRD PARTY. The DeliverySB Website may link to sites not maintained by or related to DeliverySB.  DeliverySB makes no representations or warranties about the content, completeness, or accuracy of these links or the sites hyper-linked to this Website. The Website is controlled and offered by DeliverySB from its facilities in the United States of America. DeliverySB makes no representations that the DeliverySB’s Website is appropriate or available for use in other locations. Those who access or use the DeliverySB Website from other jurisdictions do so at their own volition and are responsible for compliance with local law. IN NO EVENT SHALL DELIVERYSB, ITS OFFICERS, DIRECTORS, EMPLOYEES, OR AGENTS, BE LIABLE TO YOU FOR ANY DIRECT, INDIRECT, INCIDENTAL, SPECIAL, PUNITIVE, OR CONSEQUENTIAL DAMAGES WHATSOEVER RESULTING FROM ANY (I) ERRORS, MISTAKES, OR INACCURACIES OF CONTENT, (II) PERSONAL INJURY OR PROPERTY DAMAGE, OF ANY NATURE WHATSOEVER, RESULTING FROM YOUR ACCESS TO AND USE OF OUR WEBSITE, (III) ANY UNAUTHORIZED ACCESS TO OR USE OF OUR SECURE SERVERS AND/OR ANY AND ALL PERSONAL INFORMATION AND/OR FINANCIAL INFORMATION STORED THEREIN, (IV) ANY INTERRUPTION OR CESSATION OF TRANSMISSION TO OR FROM OUR WEBSITE, (V) ANY BUGS, VIRUSES, TROJAN HORSES, OR THE LIKE, WHICH MAY BE TRANSMITTED TO OR THROUGH OUR WEBSITE BY ANY THIRD PARTY, AND/OR (VI) ANY ERRORS OR OMISSIONS IN ANY CONTENT OR FOR ANY LOSS OR DAMAGE OF ANY KIND INCURRED AS A RESULT OF YOUR USE OF ANY CONTENT POSTED, EMAILED, TRANSMITTED, OR OTHERWISE MADE AVAILABLE VIA THE DELIVERY SB’S WEBSITE, WHETHER BASED ON WARRANTY, CONTRACT, TORT, OR ANY OTHER LEGAL THEORY, AND WHETHER ORNOT THE COMPANY IS ADVISED OF THE POSSIBILITY OF SUCH DAMAGES. THE FOREGOING LIMITATION OF LIABILITY SHALL APPLY TO THE FULLEST EXTENT PERMITTED BY LAW IN THE APPLICABLE JURISDICTION. YOU SPECIFICALLY ACKNOWLEDGE THAT DELIVERYSB’S SHALL NOT BE LIABLE FOR USER SUBMISSIONS OR THE DEFAMATORY, OFFENSIVE, OR ILLEGAL CONDUCT OF ANY THIRD PARTY AND THAT THE RISK OF HARM OR DAMAGE FROM THE FOREGOING RESTS ENTIRELY WITH YOU. Personally Identifiable Information is any information that concerns you individually and would permit someone to contact you, for example, your name, address, telephone number, email address or any information you submit to manager@deliverysb.com or the Applications that identifies you individually. When you visit the DeliverySB Web Sites and Applications, like when you visit most other web sites and applications, certain anonymous information about your visit is automatically logged, which may include information about the type of browser you use, the server name and IP address through which you access the internet, the date and time you access the site, the pages you access while at the DeliverySB Web Sites, and the internet address of the web sites, if any, from which you linked directly to the DeliverySB site or Application. This information is not personally identifiable. DeliverySB uses the anonymous browsing information collected automatically by its servers primarily to help it administer and improve its Web Sites and Applications. DeliverySB may also use aggregated anonymous information to provide information about its Web Sites and Applications to potential business partners and other unaffiliated entities. Again, this information is not personally identifiable. DeliverySB does not provide personally identifiable information to unaffiliated third parties for their use in marketing directly to you. DeliverySB may use unaffiliated companies to help it maintain and operate its Web Sites, Applications or for other reasons related to the operation of its business, and those companies may receive your personally identifiable information for that purpose. These companies may only use such personally identifiable information for the purpose or performing those functions and may not use it for any other purpose. DeliverySB may also disclose personally identifiable information about you in connection with legal requirements, such as in response to an authorized subpoena, governmental request or investigation, or as otherwise permitted by law. The Web Sites and Applications are directed toward and designed for use by persons aged 13 or older. DeliverySB will not approve applications of, or establish or maintain registrations for any child whom DeliverySB knows to be under the age of 13. DeliverySB does not solicit or knowingly collect personally identifiable information from children under the age of 13. If DeliverySB nevertheless discovers that it has received personally identifiable information from an individual who indicates that he or she is, or whom DeliverySB otherwise has reason to believe is, under the age of 13, DeliverySB will delete such information from its systems. Additionally, a child's parent or legal guardian may request that the child's information be corrected or deleted from our files by requesting this via manager@deliverysb.com . The DeliverySB Web Sites' and Applications' server, or the servers of companies that are used to operate the Web Sites and Applications, may place a "cookie" on your computer in order to allow you to use the Web Sites and Applications and to personalize your experience. A "cookie" is a small piece of data that can be sent by a web server to your computer, which then may be stored by your browser on your computer's hard drive. Cookies allow us to recognize your computer while you are on our Web Sites and Applications and help customize your online experience and make it more convenient for you. Cookies are also useful in allowing more efficient log-in for users, tracking transaction histories and preserving information between sessions. The information collected from cookies may also be used to improve the functionality of the Web Sites and Applications. Most web browser applications (such as Microsoft Internet Explorer and Firefox and Safari etc.) have features that can notify you when you receive a cookie or prevent cookies from being sent. If you disable cookies, however, please note that you may not be able to use certain personalized functions of the Web Sites. DeliverySB maintains physical, electronic, and procedural safeguards to help guard personally identifiable information. If transactions are offered on the Web Sites or Applications, transaction information is transmitted to and from DeliverySB in encrypted form using industry-standard Secure Sockets Layer (SSL) connections to help protect such information from interception. DeliverySB restricts authorized access to your personal information to those persons who have a legitimate purpose to know that information to provide products or services to you and those persons you have authorized to have access to such information. Please be aware, however, that any email or other transmission you send through the internet cannot be completely protected against unauthorized interception. DeliverySB reserves the right to modify or supplement this policy at any time. If a material change to the terms of this policy is made, DeliverySB will post a notice on its homepage and a link to the new policy.